From now until June 5th, you have a chance to win 18 paperback books from 18 bestselling historical romance authors – a $250 value! It’s easy – just click the enter button for directions. And don’t forget, Taming Thad – Book 12 of my Tarnished Saints Series is available on preorder and will be released on June 2nd! Win 18 signed paperbacks from your favorite authors! Disclaimer: Entering to win will subscribe you to the participating author’s newsletters. By entering to win you are giving your permission. Thank you. 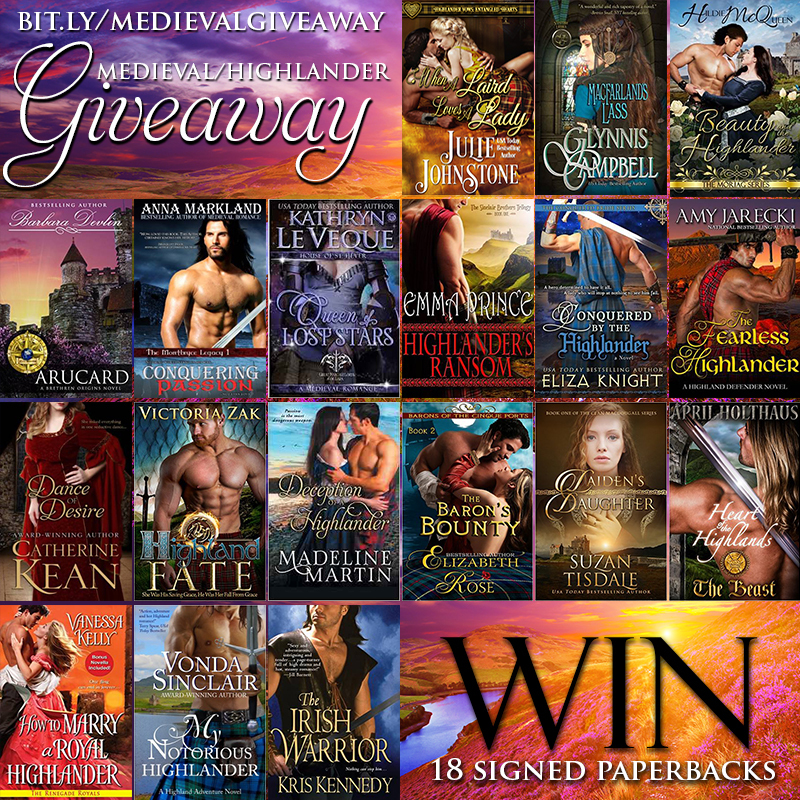 If you’re a big fan of Medieval/Highlander romance, then you’re going to love this massive giveaway! I was honored to pair with these amazing authors, and I’m really excited to share this with you. Read on below to learn about each book. This entry was posted in contest, Free book, Medieval Romance, Print Books, Scottish romance, Uncategorized and tagged Elizabeth Rose contest, new release, romance novel giveaway by Lizrosek. Bookmark the permalink.